After not being able to run it last year (thanks to getting a little overzealous about minimalist shoes and ending up with a stress fracture), I'm getting ready for the Boston marathon coming up next weekend. It has felt like a long process getting back in the game. But, first and foremost I don't want to re-injure myself, so I've tried to stay patient as I've build the mileages back up. Of course it feels good to push yourself to do your best, but what I most love about running is the simplicity of it--right now I'm trying not to bog that down with forming any sort of personal expectations. I do it for that sense of lightness that running gives me when I step out the door with nothing but what I need to keep moving along for the next couple of hours. For the sense of freedom that comes with not having do anything but put one foot in front of the other. 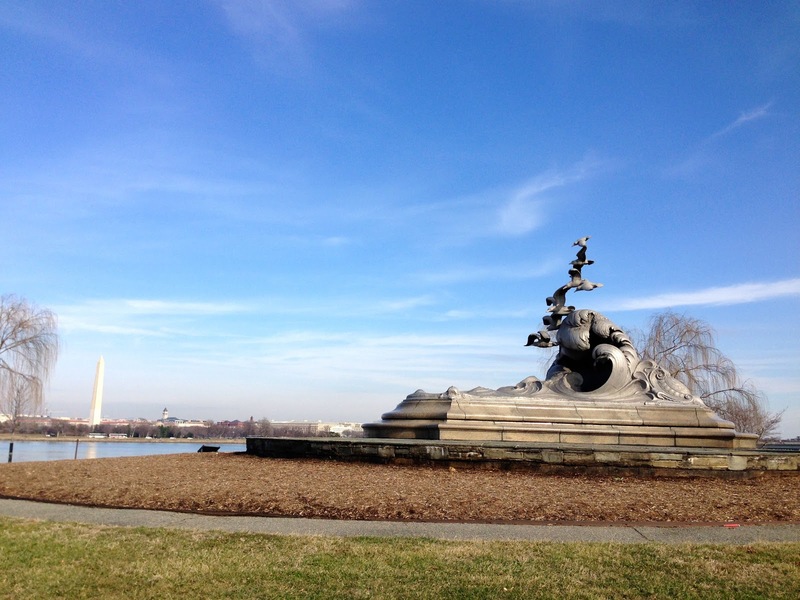 I also love using running as a tool to explore, and my long runs have been a great way to get to know DC. 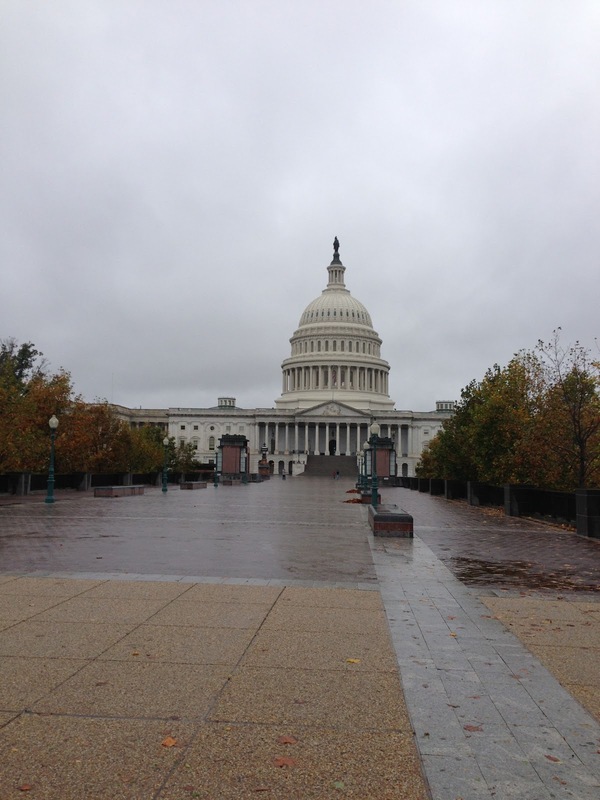 Most of my runs start at the Capitol, which is quite close to where I live. From there I have a bunch of different options for some monumental jogs. 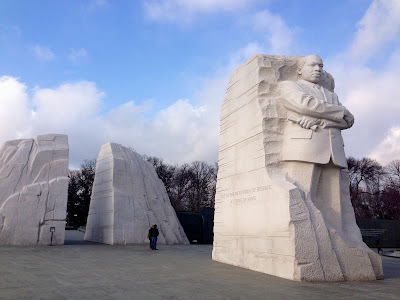 Sometimes I like to make my way over to the Martin Luther King Memorial--from there I can run around the tidal basin to the FDR and then Thomas Jefferson memorials. Then I can continue along for a loop around Ohio Drive. 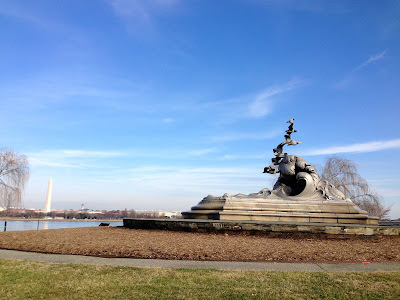 Or I'll often go down the National Mall, past the Washington Monument and Lincoln Memorial, and take the Memorial bridge across the Potomac into Virginia. 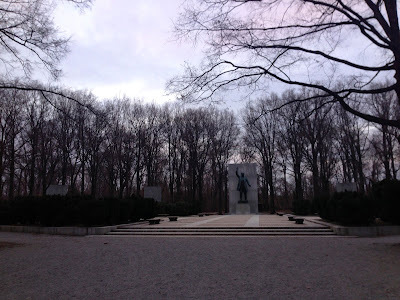 From there I can hang either a left to Teddy Roosevelt island for a good 13 miler, or a right if I'm looking to run longer. I think Teddy Roosevelt's is my favorite of the monuments. I love running through the trees around the island and then suddenly (it somehow always sort of catches me by surprise) coming upon the grand statue in the middle. 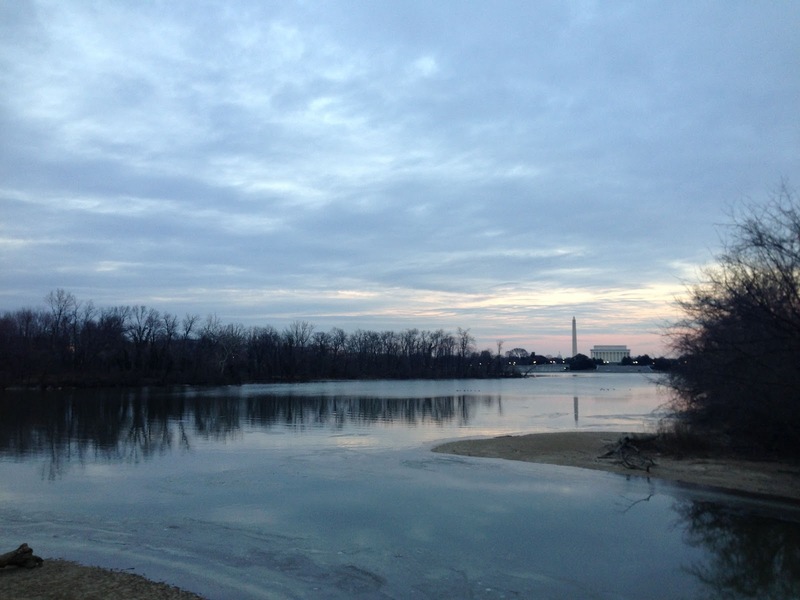 But for my really long runs, George Washington Memorial Parkway continues on and on along the river. My training runs peaked at 20 miles, which brought me past Lady Bird Johnson Park, Ronald Reagon National Airport and on into Alexandria, VA. As I turn around and make my way back I can use the Washington Monument as a reference point of just how far I've gone (and how far left I have to go). My training got thrown off a bit because I was traveling the last two weeks of March and not able to run. I had done 20 miles right before I left, which felt great, but then a final 16 mile run last weekend got me a little worried at the thought having to put 10 more on top of that so soon. I figure I probably won't beat the time I used to qualify for Boston (from the Big Sur Marathon), or even come close to it. But I've decided not to worry about speed, I'll be happy just to be there and enjoy the race.